Laptop Sticker. Decorate and protect your laptop from scratches and dust with this great laptop sticker. 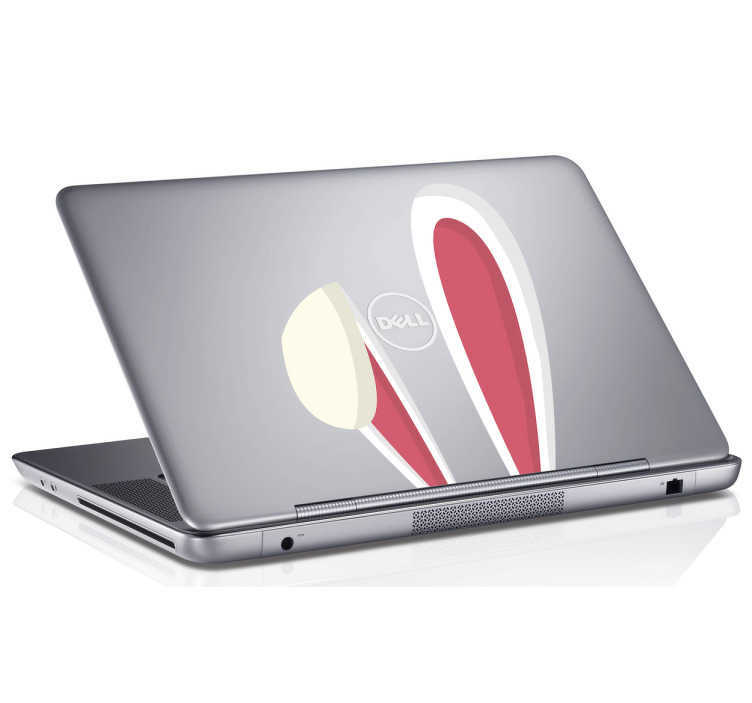 The laptop sticker consists of bunny rabbit ears appearing from below the laptop. If you're tired of the same old laptop, freshen up your design with this laptop sticker. We use an adhesive film that is easy to apply and won't make any mess on your laptop, leaving it look clean and professional.